Also the Adlib/SoundBlaster is still broken in this release, there is a source change in adlib.c that has to be made. Also I just noticed that IRQ sharing works in ISA mode again, so the Ne2000 can go back to 0x300 IRQ 9. Also speaking of emulation, I was thinking of shoving a VAX-11/780 into the world for the heck of it. Although I don’t think anyone would care. 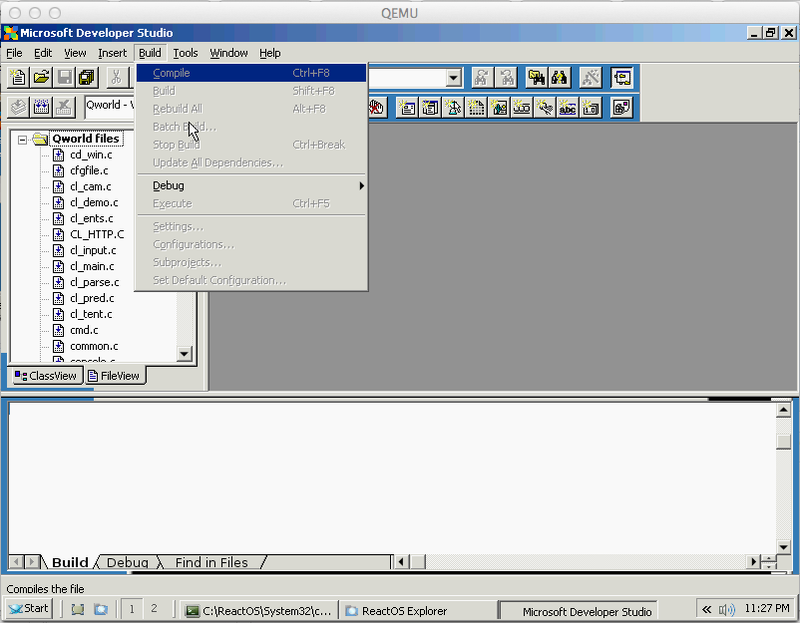 I’ll have to dig out the source to 4.3 and give the shell the ability to add new users. I wrote it once, and I fear I’ve lost those changes but it was cool for something back then. Anyways post back here if you want an account on vax.superglobalmegacorp.com ! A good friend passed on this link. And what an amazing thing! So basically a Raspberry Pi (which can be had for sub $50 USD), running a bare metal program can emulate the control signals of an Amiga floppy drive. It reads disk files from a flash card, and serves them to the Amiga. It can even kickstart an Amiga 1000. I know that floppy emulators have been an on/off hot topic, but this is pretty interesting! And of course it has a DIY angle to it as well. ..(vim) is a debugger, I can’t let a bad program take out the interrupt vectors, DOS, or whatever. Hence the “Virtual” in the name — VIM takes whatever memory it can get, and sets up the interpreter to use a “virtual” processor. So, when the interpreter uses Interrupts, DOS, etc, it’s using the virtual copy, so that a bad program destroying them won’t hurt VIM, the real DOS, real interrupt vectors, etc. Which is very cool, unlike traditional debuggers which try to hide in memory, VIM executes outside of memory and is then invisible. Unfortunately it is rather tied to ANCIENT hardware. And executes better on an 8088/8086/80286 processor. 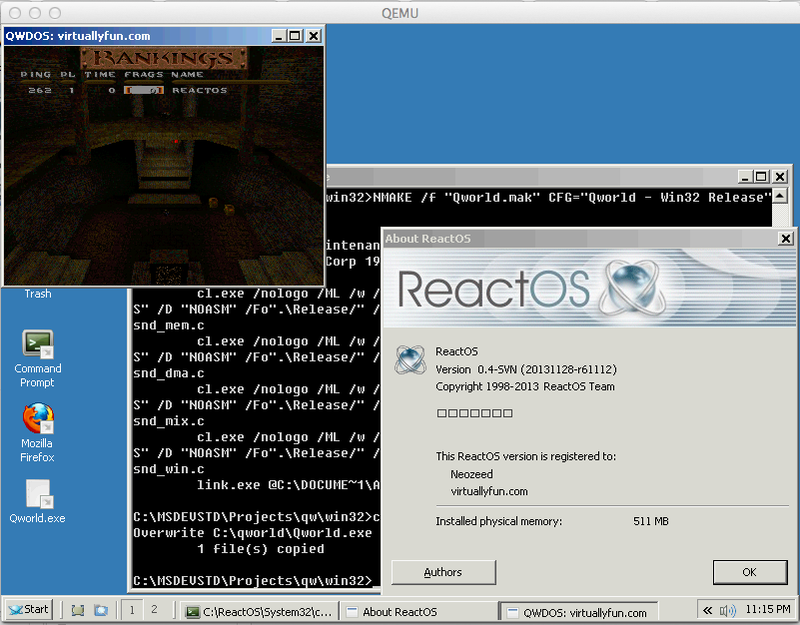 I thought I could run it on Qemu, but it’ll trap on the BIOS as it’ll have instructions outside of VIM’s understanding. 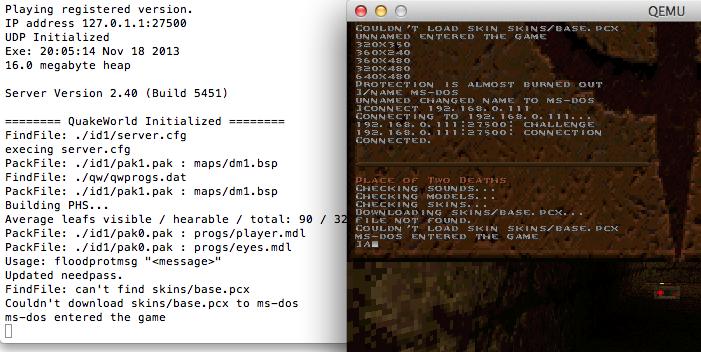 However using PCem’s 80286 emulation it’ll run fine. Another interesting thing about VIM, is that it includes the full source code, which is built with Aztec/C, however it doesn’t build cleanly as you have to finagle some of the assembly. 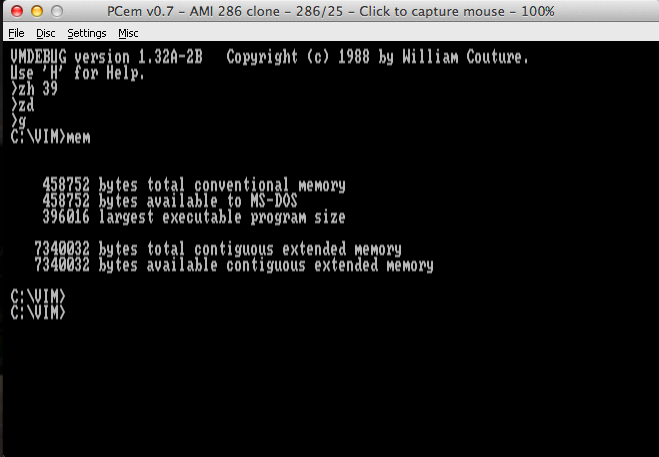 Running this on PCem is quite nice, as you can set it for a FAST 80286 computer, so it won’t take 10 minutes to boot a virtual copy of MS-DOS. Is this useful? Well maybe if you feel the need to write an MS-DOS device driver, VIM can debug it.. but otherwise, it is an interesting fossil. I don’t know how I missed this thing! The project has moved from sourceforge, to a dedicated server.  Sadly it seems that it has been a few years between updates, but I guess someone could carry the torch…. Netcraft confirms it, I’m alive. I don’t get the sudden tick in the netcraft surveys. But yeah, whomever you are if you want just ask. Author neozeedPosted on November 25, 2013 Categories random updates2 Comments on Netcraft confirms it, I’m alive.